We will go through currencies so you better understand how they work and what moves them. As you may know or you maybe have seen they are always traded in pair liek for example, EUR/USD; and one of the asset is always performing better then another. To better understand we can see this anology; when two cars are racing, they are in constant movement and one is always infront untill the other comes infront. And same thing is happening with currency pairs. If you take a look at the USD/EUR pair and the USD is looking better, then the pair is going up. If EUR is stronger then the pair will go down. What dictates the movement of prices are trends and many other things. Since a very large quantity of currencies can be traded in Forex, there is 85% of the most traded ones and are called Majors. One of the interesting things is that the Majors all contain the USD. Lets take a look at Major pairs that are traded the most: EUR/USD, GBP/USD, USD/JPY, AUD/USD, USD/CHF, USD/CAD and NZD/USD. Since Currency belongs to certain country or as in EUR case, the whole european union that means currency is influenced by economy, political views, financial news, natural disaster and so on. Even rumors can do things to change the price of pairs. By looking at all these fundamental analysis you can determine at what price will the pair go, up or down and then determine based on technical analysis on chart when you want to put in the trade. You always need to look at support and resistance in technical analysis and you must learn to look at both fundamental and technical analysis to make it work for you in long-term and be profitable as much as possible. Available for trading: 24hours a day, 5 days per week. You should always check with your broker if there are some changes. Which broker offers EUR/USD: Every right broker should offer this pair. TIP: You should never trade during some big annoucments of banks or news with these two ebcause of their volatility. Always wait and then determine. 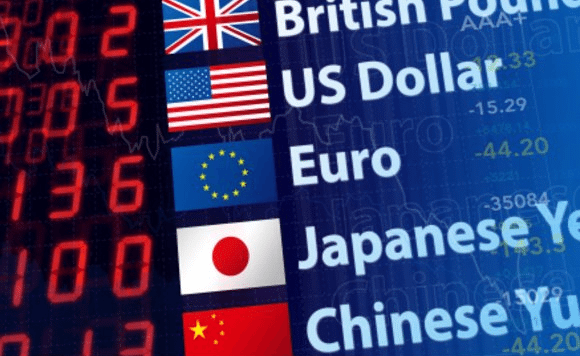 Which broker offers USD/CAD: Every right broker should offer this pair. TIP: Since Canada is providing US oil, the price is not so volatile but you should be careful since oil prices can affect the price on this pair. Which broker offers USD/JPY: Every right broker should offer this pair. TIP: Mostly its stable but you should watch for sudden spikes in price action. This is what you need to know about currencies and trading them. We have covered the most important factors so you get better insight knowledge on them. Of course to get even better insight and information about each and every one of them you have to follow the news and read about it since there are constant changes in the market. It is a must to cover your fundamental research in order to be a good and profitable trader on long run.